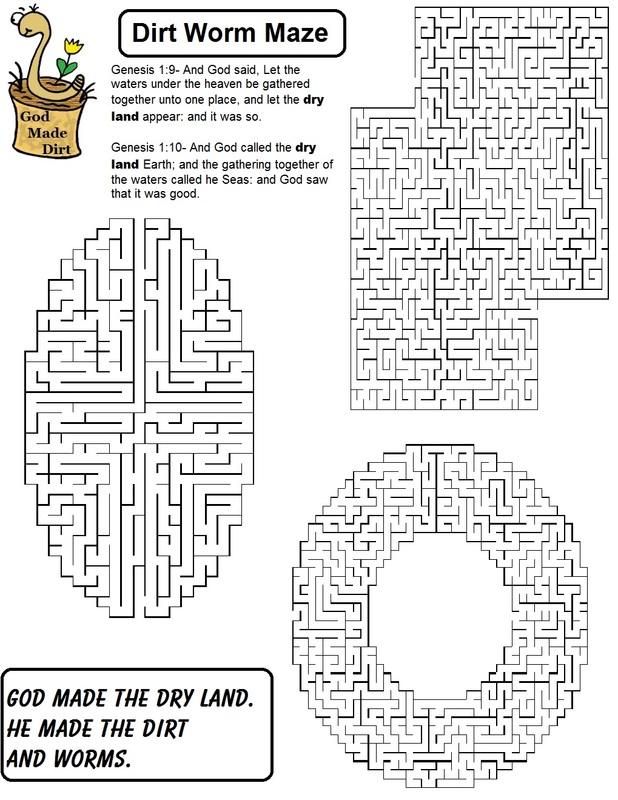 Genesis 1:9- And God said, Let the waters under the heaven be gathered together unto one place, and let the dry land appear: and it was so. 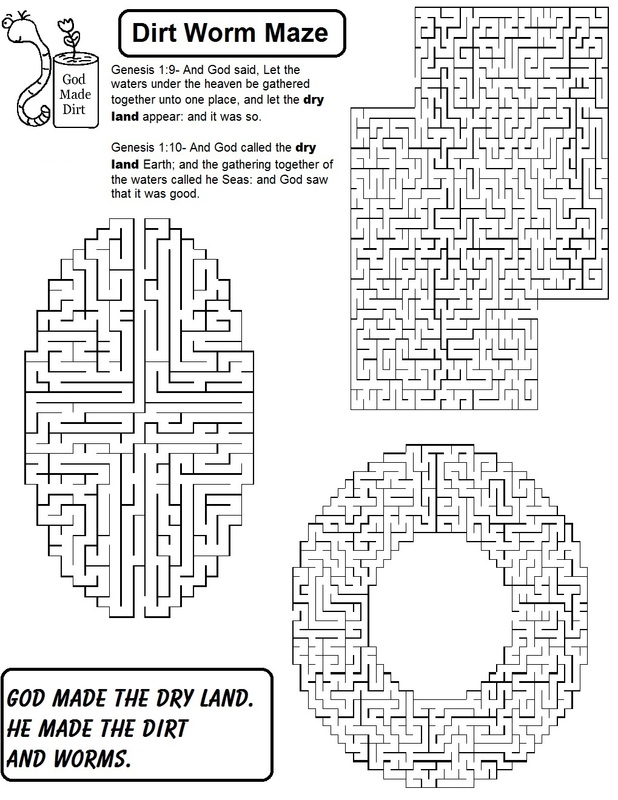 Genesis 1:10- And God called the dry land Earth; and the gathering together of the waters called he Seas: and God saw that it was good. 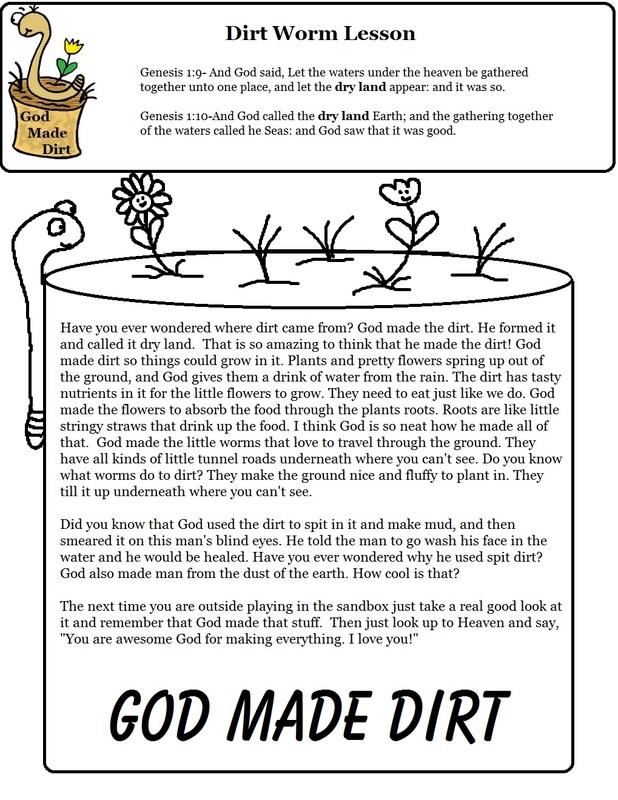 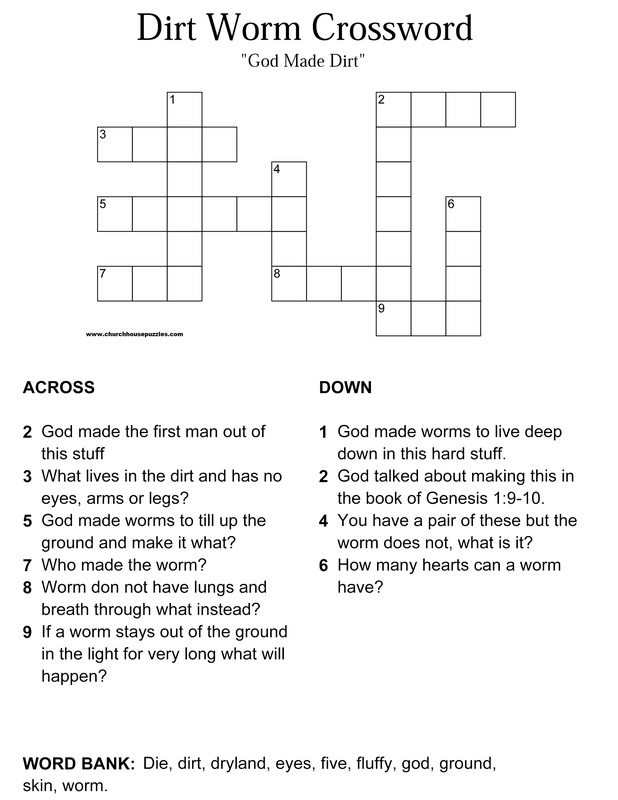 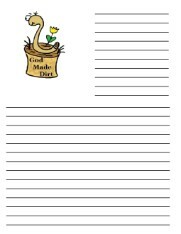 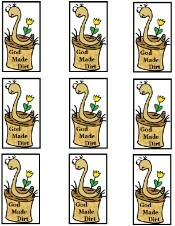 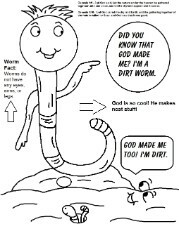 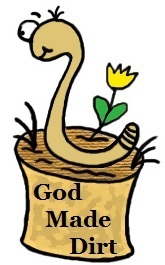 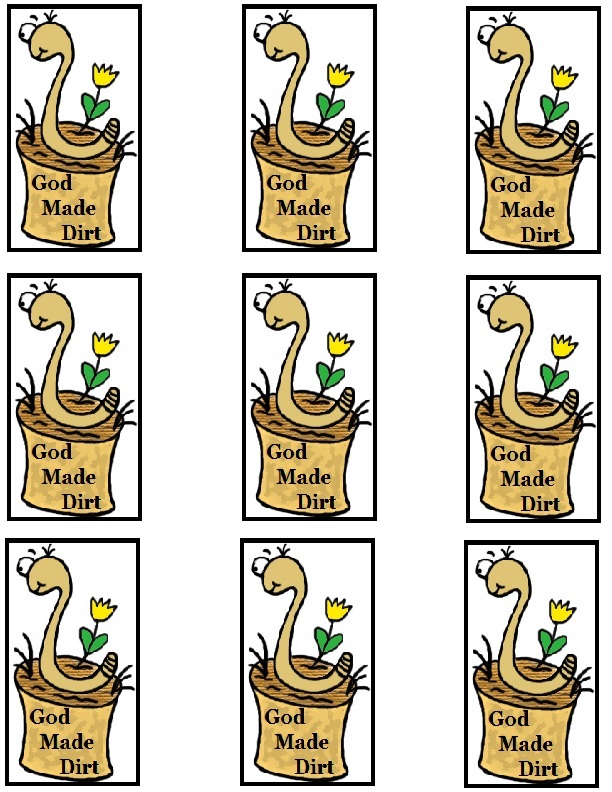 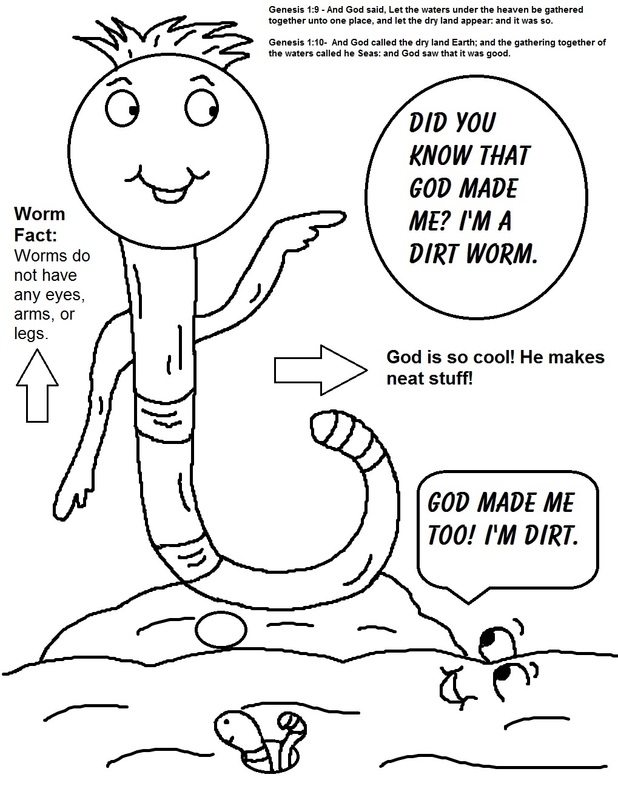 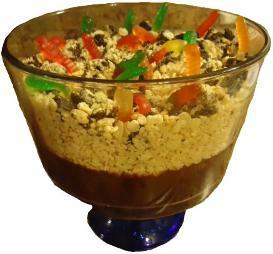 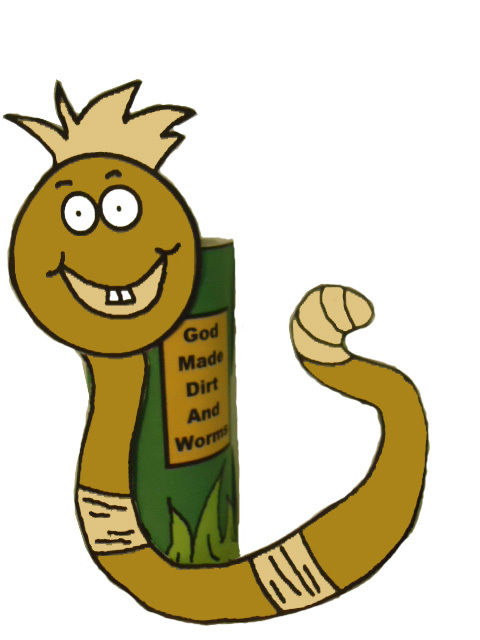 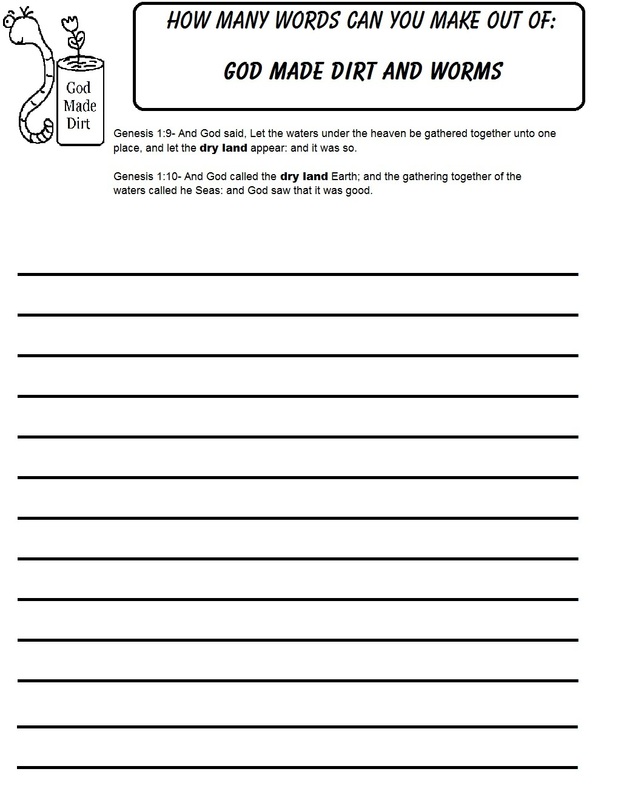 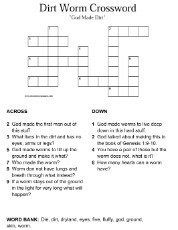 Teach the kids how God made the dry land in Genesis 1:9-10 and how he made dirt and worms. 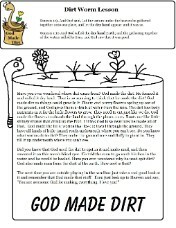 The kids loved this lesson. 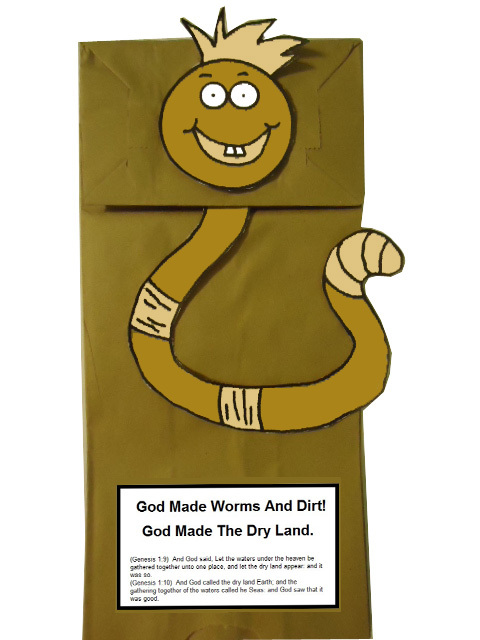 The dirt worms were so much fun for the kids. 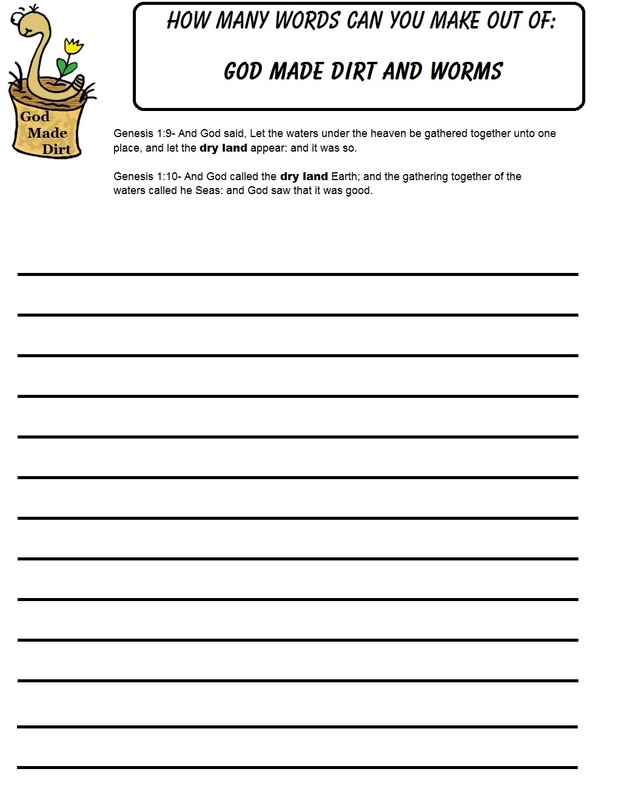 Just pick out what you need for your class from the things below and put together a lesson they won't forget. 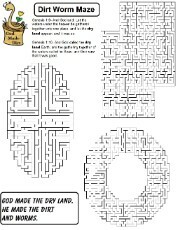 Print and cut out and tape to a toothpick and stick down in cupcakes. 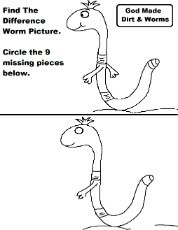 Or make popsicle stick puppets, or you can tape them to a styrofoam cup filled with snacks or drinks. 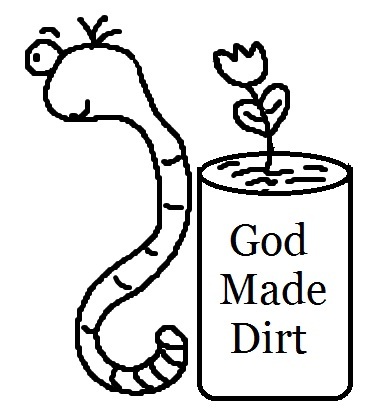 Add these to the kid's drinks. 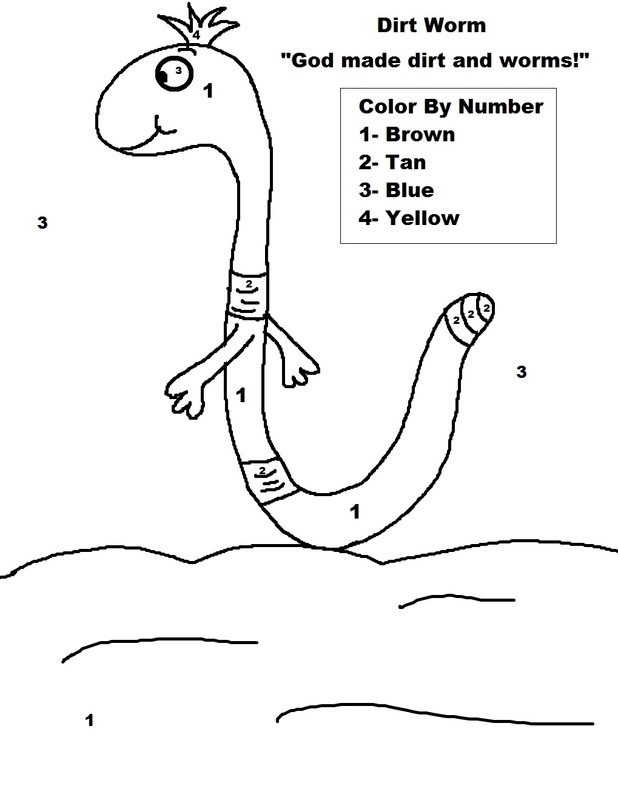 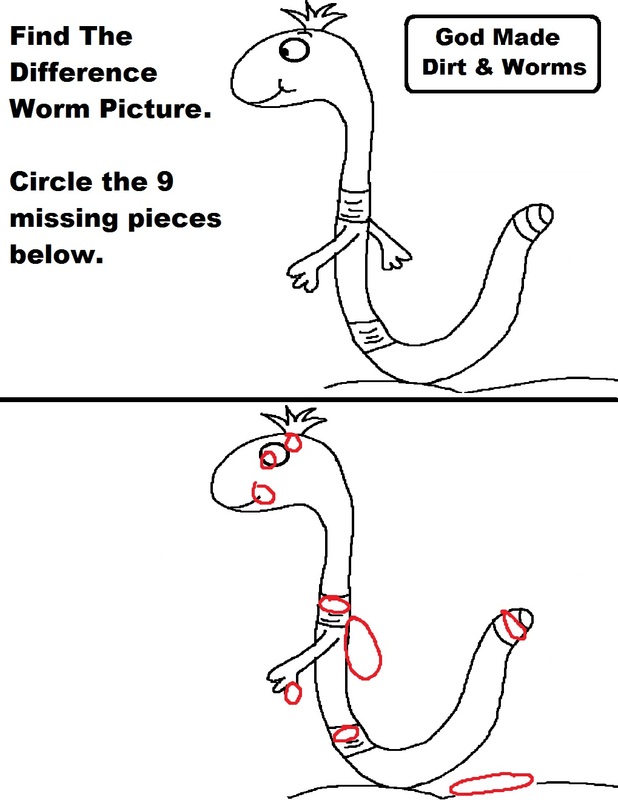 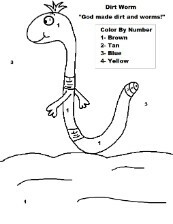 Cut the worm out and put him together & glue to construction paper. 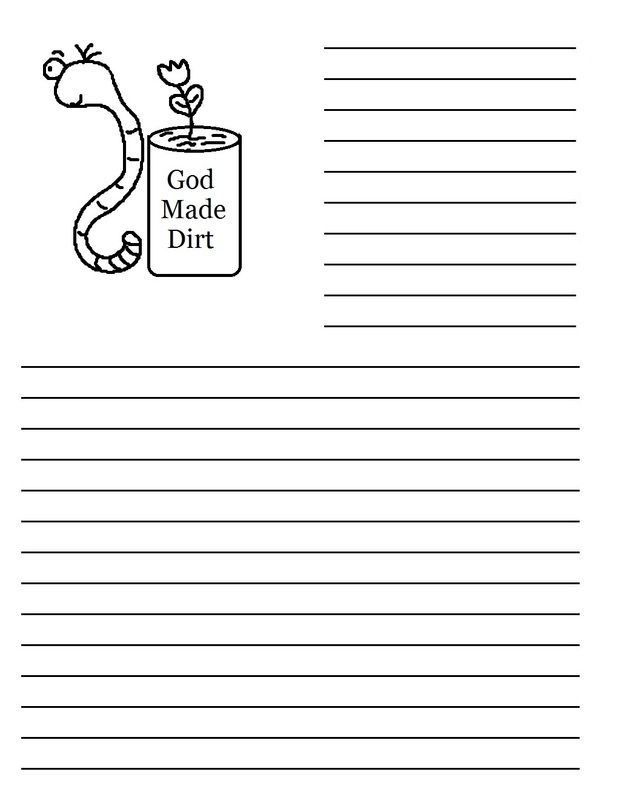 Be sure to scale this right before you print it out. 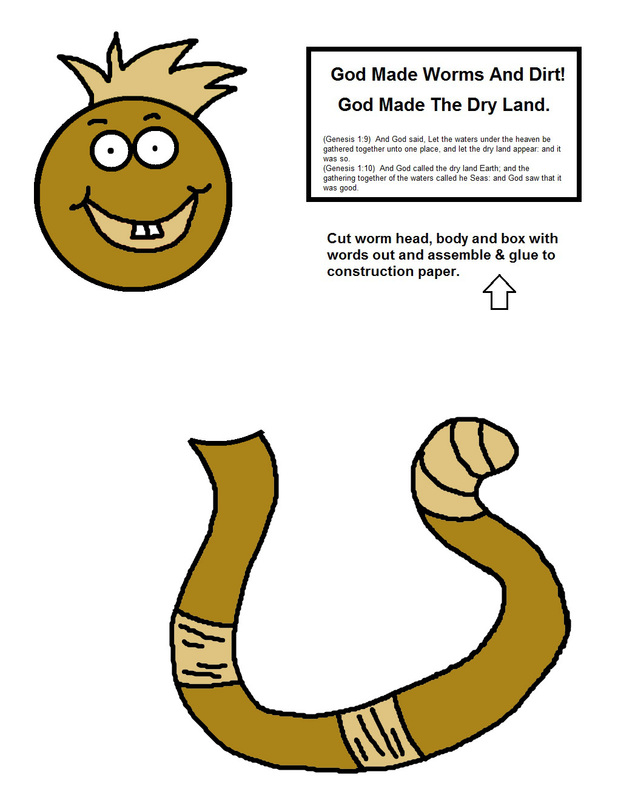 This youtube video has some cute worm bread you can make for the kids in your class. 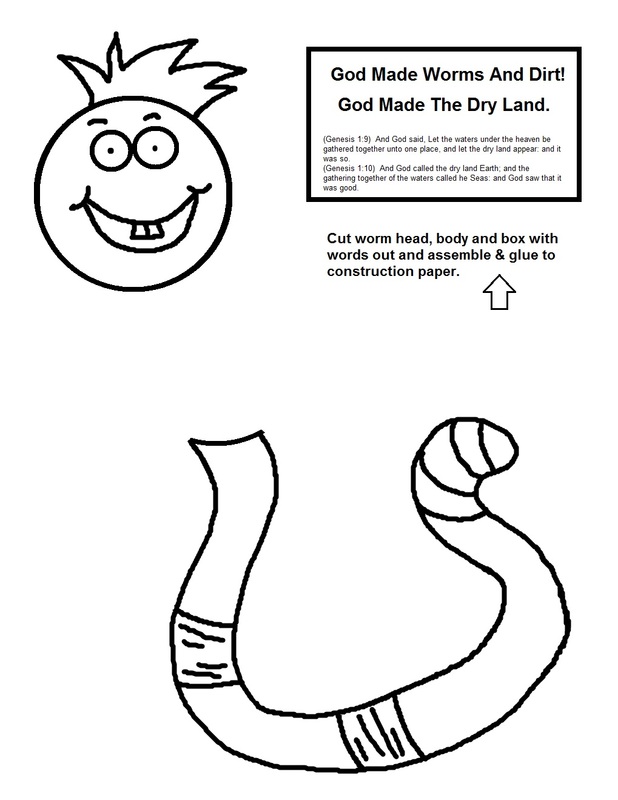 You can even let the kids make these during class if you have time.